Been a solid 2 days of fishing. Sunday I went out with Paul from Minnesota. We ran out to 85 ft of water and got into some lane, vermillion and red grouper. Boxed a 26" and 24" RG, and released several others that were keeper size. Added a few snapper for good measure. No pics from this trip. Monday, headed out with Michelle, Ted, Jacob , Katie and Darryl. They were a bit pressed for time, having some afternoon plans, so we made the best of our day. We made a long run to try and play with some ajs. The ajs we did hook were fright trains and kept running back into the wreck. Jacob got a hit off the bottom which quickly sounded and began swimming along the surface. 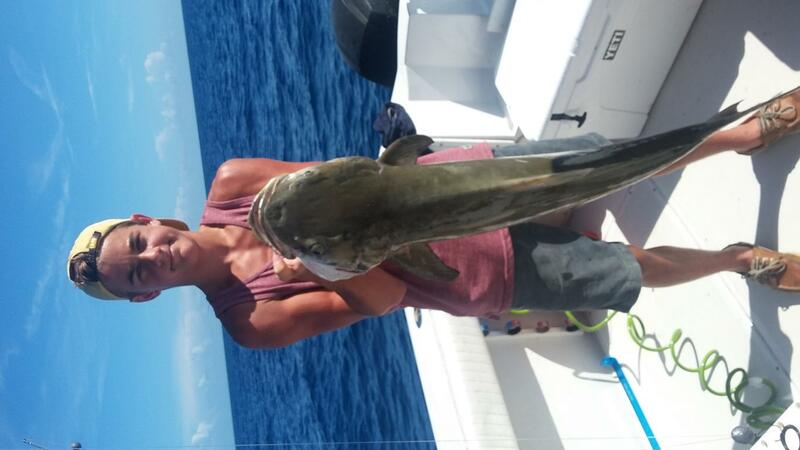 Turned out to be a nice cobia which measured in at 39" to the fork. High fives and lines back out. A few bottom break offs and then the flat line goes off. Darryl is fighting what I though was a cuda, but came unglued about 15 ft from under the boat and I never got a great look at him. Quickly tossed out another live bait and it gets inhaled, pretty much spooling the 4000 battle. We chased it down and we're able to get it gaffed pretty quickly. Beautiful Smoker king for Ted. Had a cancellation for the 4th so I spent the day with the wife and kids. We went bowling early, spent the day with our friends and took the boat out towards sunset to watch the Red White and Boom firework show off cape bridge. Looking forward to continued good weather and great fishing. Hope everything is going well, Capt. Dan! It was great to meet you at the Angler Management seminar! You have qualified and will be entered in our forum giveaway. Keep posting new reports until September 31st for more chances to win the fishing trip of a lifetime with Fishing Nosara in Costa Rica! 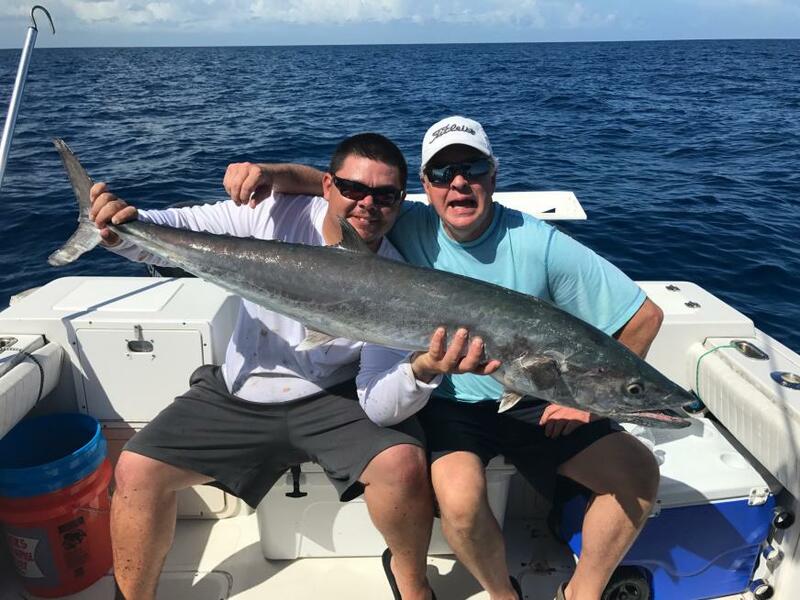 Check out http://www.floridasportsman.com/2017/06/12/win-costa-rica-fishing-adventure/ for more details. Shelby, it was a pleasure meeting you at the seminar as well. Costa Rica is on the bucket list. Some exciting stuff! Hey Capt. Dan another great report. Not sure why your pictures are not showing up. I get a photobucket.com/500 link to log onto. Are you doing something different. exactly what i did... Much quicker than the load to photobucket, etc.